Sometimes all it takes to become a hero is an unfortunate incident and a single split second decision. Behold the origin of Midnight Tiger! Art– Ray-Anthony Height is the artist and plotter of this book and for the most part the art does a good job. The action scenes are tight though the face of our hero is still often flat and lifeless. This is especially the case when compared to his friend Dex. Characterization- In this opening tale the personality of our hero as courageous, and well mannered shines through. Humor– Ray Anthony Height manages to throw serious shade on the costumes of Black Panther, Wolverine and Spider Man; it’s totally tongue in cheek but knowing that Ray is a fan of all three characters made me positively glow as I laughed out loud upon hitting the page. Good stuff Ray! Props– How cool was it to see Dex wearing a shirt adorned with the emblem of Molly Danger? Very! 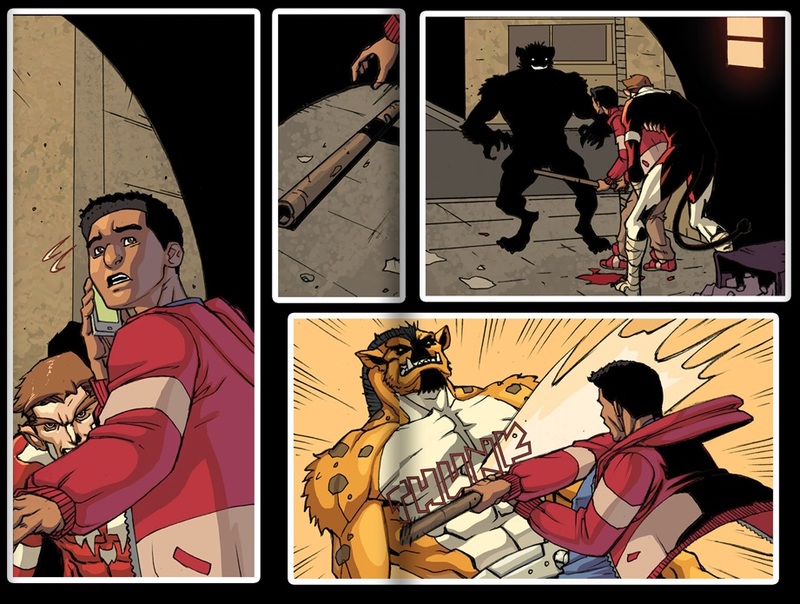 Black Hero– If your new you should check out our review of Midnight Tiger #1 which literally put the hero on thousands of people’s radars. Now after so much waiting Ray Anthony height unleashes the hottest new superhero this side of Marvel/Dc! Easter eggs– Ray is a huge fan of mainstream comics and in this issue there are so many hidden elements like Black Panther, Spider-man Nightwing and Wolverine as mentioned earlier. At the beginning of the story however we also find Nova’s and Magneto’s Helmets, Darth Vader’s mask, a green lantern mug, a Luke Skywalker action figure. Those are just the ones I noticed I’m sure you guys will hit me up on all the others I missed! Fight the myth– Tired of hearing indy/black books don’t sell? put your money where your mouth is and buy it HERE! Full circle– Be sure to read our very first review RIGHT HERE which put this character on the map! Also read everything we know about the MIDNIGHT TIGER which was also the very first biography for the character to hit the net! Get into it! Our titular heroes face is just off in some way. I cant put my finger on which way but it is. 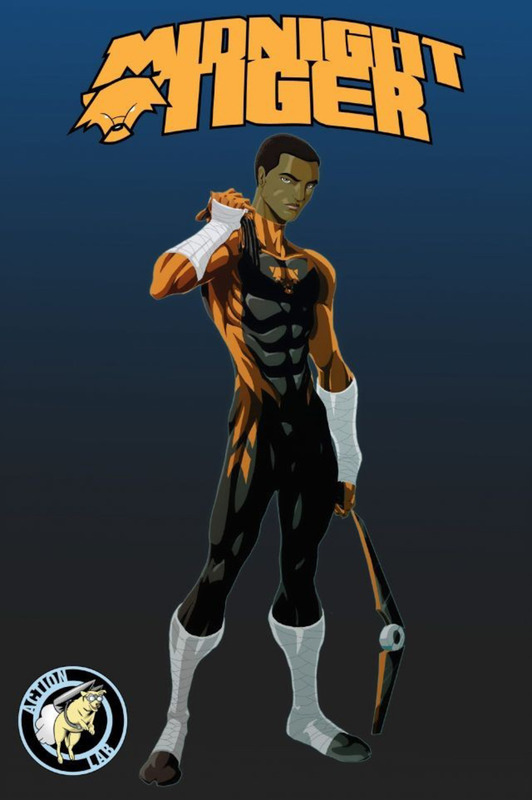 i saw the midnight tiger on faacebook, interesting name, wishing this character and it’s ceator much success.